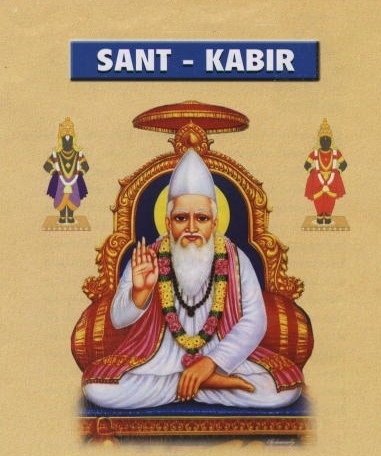 Miraculous legends surround the birth of Kabir. His mother was said to be a virgin widow who conceived through a blessing given by the great teacher of South India, Ramanand, on a visit to the spiritual guide. Ramanand, while blessing her, offered her the usual wish that she might conceive a son, not knowing her state of widowhood. The sequel is variously reported. It was impossible to recall the blessing; but, while one version states that the mother abandoned the child to escape disgrace, another relates that Ramanand contrived that the child should be miraculously born from his mother’s hand. All stories agree that the child was brought up by a weaver named Niru and his wife Nima. The details of Kabir’s life are mixed with legends – some say he married one by name of Loi and brought up two adopted children Kamal and Kamali, and that Emperor Sikandar Lodi, angered by Kabir’s refusal to salute him tried to get him killed by drowning, burning and other means of torture. 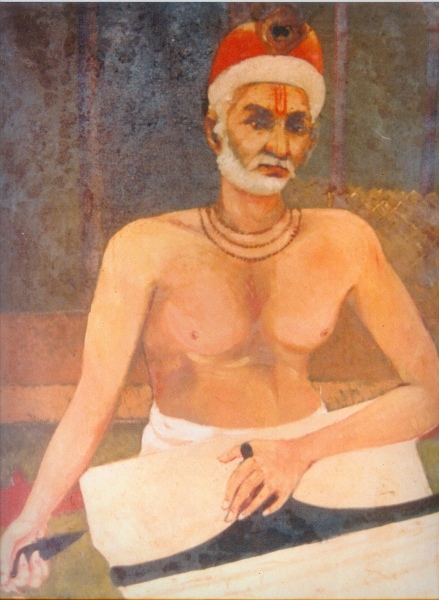 Throughout his life Kabir preached and worked as a weaver in the neighbourhood of Benares (modern day Varanasi). Owing to his teachings he was an object of dislike both to Hindus and to Muslims [then called Mohammedans], and it is said that he was denounced to Sikandar Lodi, king of Delhi, as laying claim to divine attributes, but escaped by his ready tongue. Kabir left his mortal coil at Maghar, near Gorakbpur, and a dispute at once arose as to the disposal of his remains, which were claimed, by Hindus and Mohammedans, the former desiring to cremate and the latter to bury them. 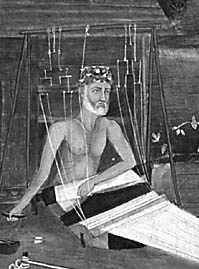 While they wrangled, Kabir himself appeared and bade them raise the cloth which covered the corpse. When this was done, it was found that the body had vanished, but a heap of flowers occupied its place. Half of these were burnt after the Hindu custom at a spot now known as Kabir Chaura in Benares (Varanasi), and the rest were buried at Maghar, which became the headquarters of the Mohammedan (Muslim) portion of the sect that still follows Kabir. These peoples (devotees) are named Kabirpanthis. A tomb was built there which was subsequently repaired about 1867 by a Mohammedan officer of the Mughal army. The basic religious principles Kabir espoused were simple. According to Kabir, all life is an interplay of two spiritual principles. One is the personal soul (Jivatma) and the other is God (Paramatma). It is Kabir’s view that salvation is the process of bringing into union these two divine principles. The social and practical manifestation of Kabir’s philosophy has run through the ages. It represented a synthesis of Hindu, and Muslim concepts. From Hinduism he accepts the concept of reincarnation and the law of Karma. From Islam he takes the affirmation of the single god and the rejection of caste system and idolatry. Not only has Kabir influenced Muslims and Hindus but he is one of the major inspirations behind Sikhism as well. Kabir says: No act of devotion can equal truth; no crime is so heinous as falsehood; in the heart where truth abides, there is God’s abode. With flour, I am no more I! I am no more what I am! That he dies never again. Don't go off somewhere else!! Attain it through the Master's grace. Sathya Sai Baba is the reincarnation of Sai Baba of Shirdi. There exists a growing body of evidence that Sai Baba of Shirdi indicated that prior to his (then) Shirdi body, his previous body was the Hindu-Muslim poet Kabir of North India.